We are now only hours away from the 2018 NFL draft. 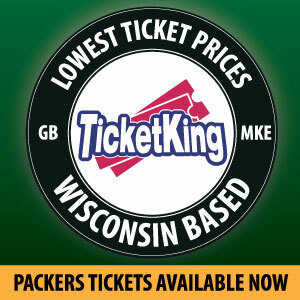 This off-season the Packers defensive line has become a strength of their defense. Brian Gutenkunst has 12 picks at his disposal to improve the team, and the expectation is that he will use those picks to add quality depth and competition mainly to the defense. 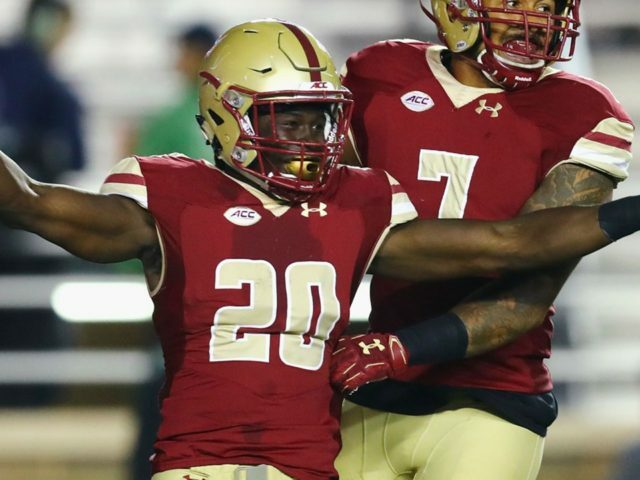 Looking in the middle rounds of the draft, there is one cornerback that provides tremendous value, it’s Boston College’s Isaac Yiadom. Yiadom projects as a 5th round selection. Although he is no Josh Jackson or Denzel Ward, so he doesn’t have the greatest skill set but he does make up for it in other areas. He has a willingness to help fill up the running lanes. Something that past Packers defensive backs have lacked as they would shoulder tackle the running back instead of wrapping up. He possess decent size (6ft 1in. ), and length to break up passes, and has above average awareness of the football when it is in the air. With the NFL being pass heavy league, Yiadom fits body type that NFL scouts and General Managers are looking for in their secondaries. His size will allow him to match up well with big, physical wide receivers that will be lining up across from him. The past couple of seasons we have seen Packer defensive backs looking lost while in coverage. Yiadom is a smart player who seems to understand how to utilize the sideline to his advantage, and when he does get beat, he has the recovery speed to make up for it. 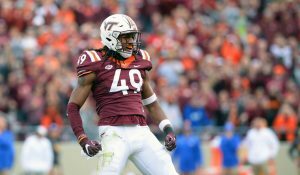 With the Packers signing Tramon Williams and bringing back Davon House, adding a talented young corner in the middle of the draft to develop that can compete right away would be beneficial to a team that lacked secondary talent. At Boston College, Yiadom was a gunner on the special teams coverage units, something that the Packers expect their younger players to make a impact on first. Yiadom is exceptional in press coverage and plays at the line of scrimmage. When watching the Packers defense the past couple of years, their corners would play well off the line of scrimmage. So having a corner match-up at the line of scrimmage would be a breathe of fresh air. He will jam the receiver and get right up in their face. Because he is so fast, his speed allows to play this type of coverage as it allows him to make up for any mistakes he may have. 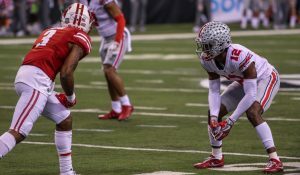 The Packers need to upgrade not just their defense but also their secondary. They would be wise to keep their eye on Isaac Yiadom in the middle portion of the draft. If he is available when they draft in the 5th round, he would be a good addition to Mike Pettine’s defense. It is Brian Gutekunst’s time now and we will get a good feel for the type of general manager he will be on draft day. This entry was posted in Anthony Haag, Packers 2017-2018 Season and tagged 2018 NFL Draft, Brian Gutekunst, Green Bay Packers, Isaac Yiadom, Mike Pettine. Bookmark the permalink.